For Kids With Special Needs, More Places To Play Parent advocates and a new federal law making accessible play areas a civil right are changing the landscape for public playgrounds. Brooklyn Fisher rolls down the ramp on the playground named for her in Pocatello, Idaho. The playground was built using accessible features so children of all abilities could play alongside each other. 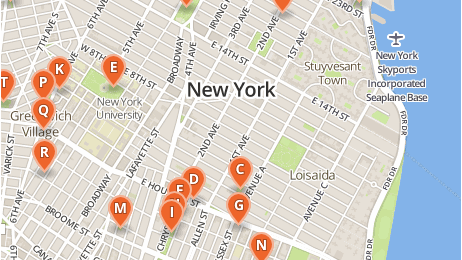 Wide ramps allow children of all abilities easy access to all of the parts of Brooklyn's Playground. 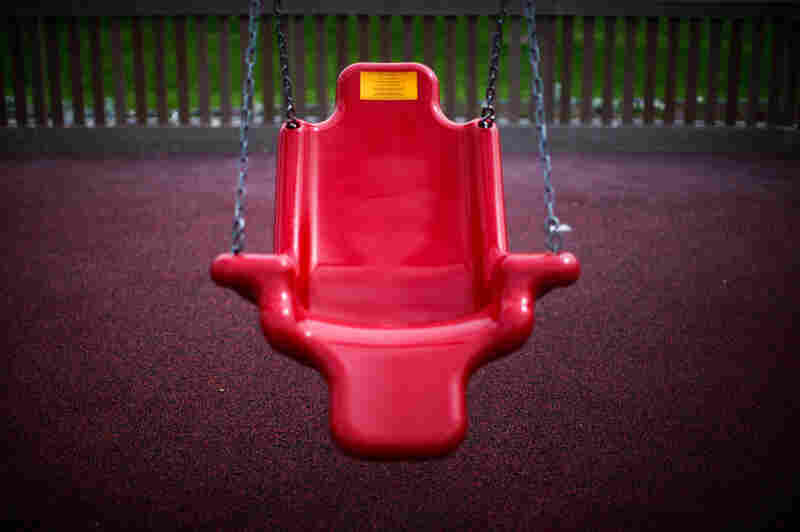 This accessible swing is designed to support children with physical disabilities. 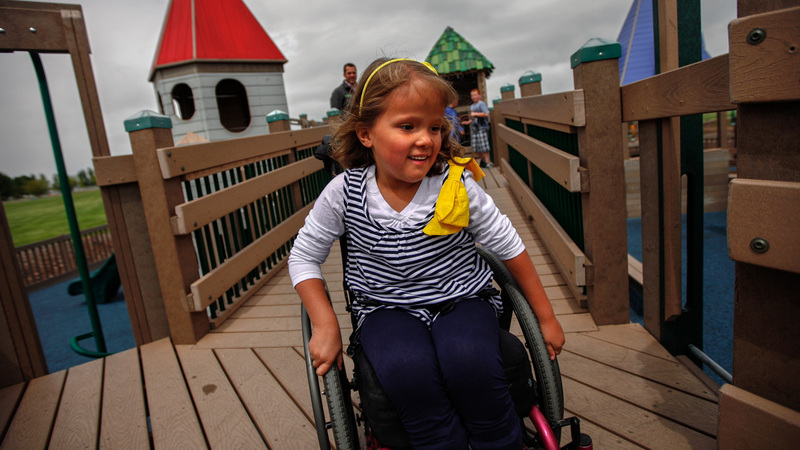 Brooklyn Fisher, who has spina bifida, plays with her father, Jonny Fisher, at the playground. * The Americans With Disabilities Act 2010 Standards for Accessible Design is the official document detailing accessibility requirements. 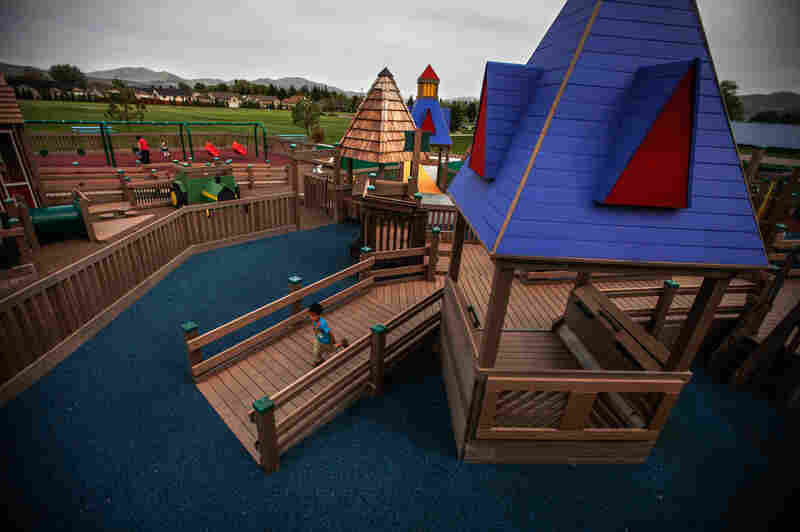 * The U.S. Access Board Guide on Play Areas has details on play area accessibility guidelines, which became requirements last year. 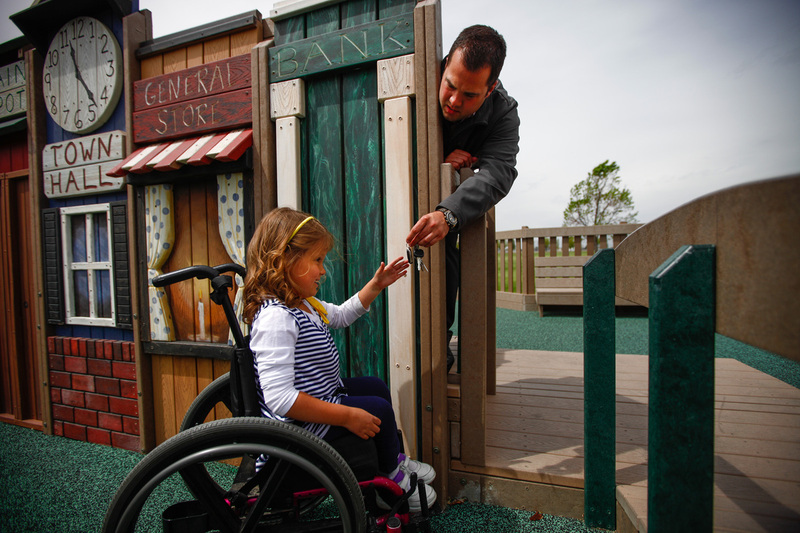 * The National Center on Accessibility Access To Play Areas has a simple FAQ guide for local communities. * U.S. Department of Justice information about filing a complaint alleging disability discrimination by a government or public accommodation. "I put Tatum in a swing and kind of sat back and absorbed it all," Bakker recalls. "I looked up and saw an older child, maybe 10 or 12, a little girl, in a motorized wheelchair, up on the pirate ship, surrounded by three or four friends her age who were able-bodied children, playing and laughing." After a minute, it sank in: "That's when I really was struck with this idea of this is what it means to be included," Bakker says. She wanted that back home. "It was literally the next breath where I just knew that we were going to have to find a way to make an experience like this possible in our hometown as well." The City of Salinas approved Bakker's request to build the playground in a public park. She has raised about $400,000 so far, and expects construction to begin next month.